We look back on whats trending along this year of 2013 in our scope of vector graphic topics including logo design, vector SVG, color, best mobile apps of the year and some internet trending news. We can say that logo design trending in 2013 is more on Redesign of existing logo, such as Yahoo! logo that being criticized. Meanwhile a lot of big names have successfully transformed their new logo being better, in redesign term. The most influenced trend is flat design and minimalist style of logo design. You might like to see 2013 Logo Design Trends by Logo Lounge. Anyway here is an example of 2014 logo design that will make next year as football fever once again, can’t wait for samba..? (whenever you enter 2014 logo as keyword, Google will come up with this ↓ image more than any other). Vector graphic demands are rising on the net, either for logos, illustrations, icons, charts, etc. We can also see some vector graphics site grows over the years. Be it providing and sharing vector freebies or offering vector services. One of the most popular sharing of vector freebies in 2013 are Flat Icons. We can see variety of flat icons’ style being shared freely from many top designers community sites, such as behance, deviantart, dribbble, and many personal sites as well. Scalable Vector Graphic or SVG getting better support and we will see latest upgrade to SVG 2 which will be better integration into HTML & CSS. What was that means..? In simple words, vector graphic will be everywhere sooner or later, on any devices, don’t worry if you don’t have the right app to open vector file (in the future). For this coming 2014, Pantone as usual, was named Radiant Orchid as Color of The Year for 2014. A year before they named ‘Emerald’ as Color of 2013. We can see more (and hopefully better) designer’s apps available in App Store and PlayStore, oh yes we would like to see in Win8 Store as well. Anyway, what is The Best App of 2013..? Google Play Store had named 11 Best Apps of 2013, and here – Pixlr Express by Autodesk, is one of them. The rise of mobile tech and devices had made social activities change the life style of many of us, whether we realize it or not. In fact, in some country, the authority had made some rules to prevent their people being ‘stuck on gadget’ 24/7. People might blames on social media attractions, but to be frank, social media is just a new kind of tool to communicate. We need to be careful on how we deal with it, not to be too dependent on it.. its not a big deal anyway. In the middle of this year people around the globe being blast by shocking news of the information security related issue. 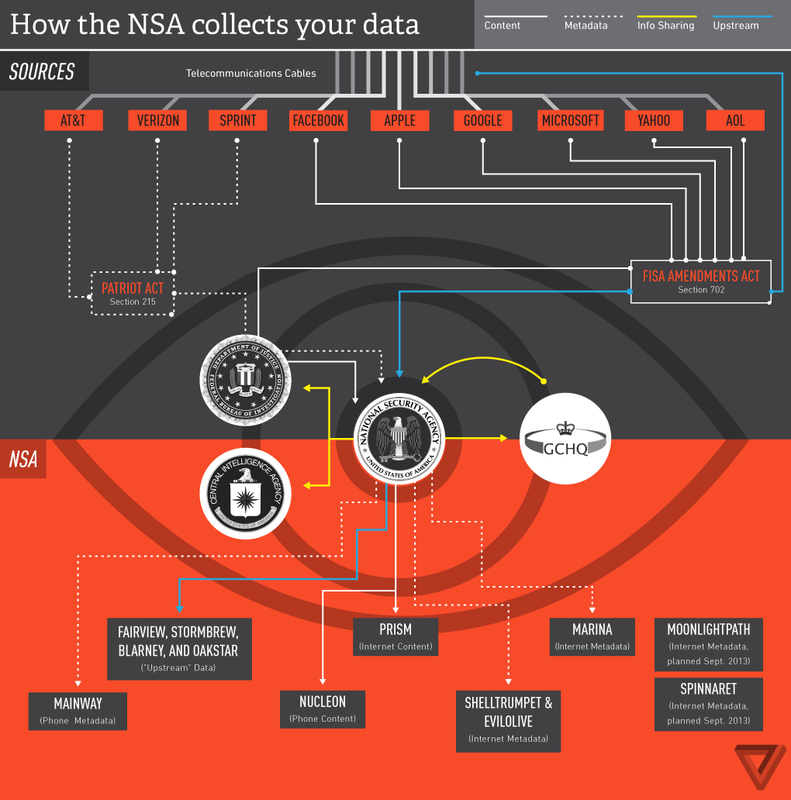 NSA has ‘direct access’ to the servers of Google, Facebook and others. Using a program named #PRISM they spy on us, collecting our personal infos especially on our media social accounts. There came the most popular name in 2013, Edward Snowden (compared to Obama).